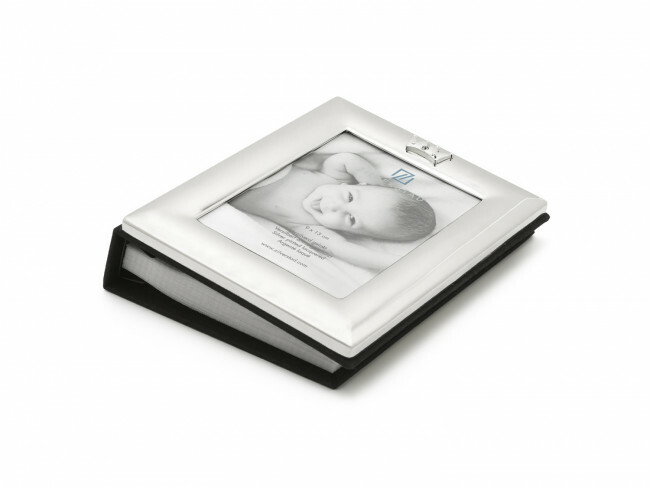 Baby Photo Album 9x13cm ABC silverpl.lacq. Photo album with decoration on the front. Including space for approx. 70 photographs of 10x15 cm. The photo album is silver-plated and lacquered, and therefore requires no polishing. The front is suitable for a single 9x13 cm photograph. Photo album with a crown on the front. Including space for approx. 70 photographs of 10x15 cm. The photo album is silver-plated and lacquered, and therefore requires no polishing. The front is suitable for a single 9x13 cm photograph.